For many years, gauges have been utilized to control manufacturing processes on the shop floor. In the past, equipment such as bore gauges or calipers may suffice, but with the many advances in manufacturing, new process control methods are needed to keep up with that change. That’s why an increasing number of manufacturers worldwide are replacing their current gauging methods with Renishaw Equator™. Renishaw Equator™ is widely recognized as a gauging system that enables stellar process control by delivering reprogrammable, versatile, thermally insensitive and highly repeatable gauging to the shop floor. Looking for an industry-leading retailer of precision measurement instruments that you can trust? 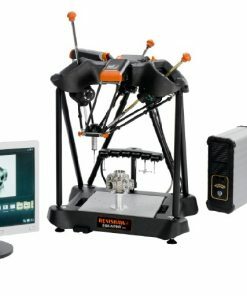 Willrich Precision has been in the business for nearly five decades, serving the gaging, inspection, and metrology industry by offering an exceptional range of products, the Renishaw Equator™ included. Equator™ is definitely a great purchase because it can be configured according to the needs of your manufacturing and application process with versatile accessory options for both automated and manual operations. What’s more, our products are competitively priced to ensure all our customers enjoy significant savings. Start shopping with us today and discover awesome custom gages & fixturing products that are made to the highest standard of workmanship and quality!